Today is one of the nation's officially designated bug-busting days; a day on which the nation is encouraged to check their family's heads for headlice in an attempt to help prevent and eradicate infestations after half-term. 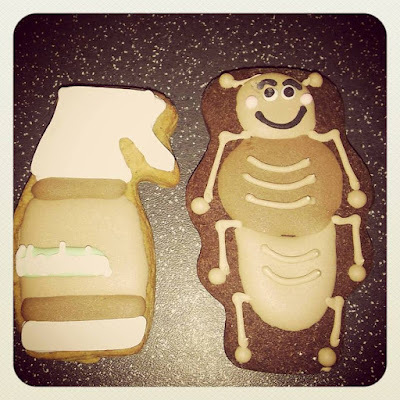 To mark national bug busting day, Hedrin sent me some top tips for helping to banish headlice from schools and home. They also sent me a box of headlice-shaped and nit-shaped biscuits - you can't beat a nit biscuit! 1. Once a week, take a peek. Build a check for headlice into your weekly routine so that you can spot their arrival early. We check the girls each week when they are getting ready for their swimming lessons. 2. Be honest if live lice are detected, and inform people who have been in close contact. While it might feel embarrassing, letting your school and friends know can help stop the spread of an infestation. 3. Seek advice from a pharmacist, not online forums. Analysis of popular parenting social media sits and forums has shown large numbers of conversations about headlice prevention but many of these contain common myths or inaccurate advice. Hedrin highly recommend asking your local pharmacist for the most up-to-date clinical advice. 4. Treat head lice with clinically proven non-pesticide products. Hedrin Treat & Go contains Activdiol which is clinically proven to kill lice and eggs without pesticides. Treat & Go non-drip mousse is an incredibly easy way of applying the treatment and you can apply it to dry hair and leave overnight. It is available in Boots and pharmacies for £11.49. 5. 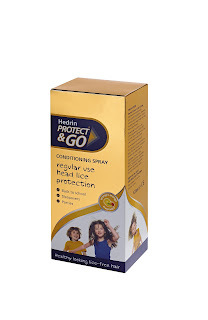 Protect against infestations, If your school warns you that head lice are circulating, you might want to act to protect your children against an infestation by using a preventative product such as Hedrin Protect & Go- an orange & mango scented conditioning spray which disrupts the life cycle of the head lice and prevents their spread; it is intended for use twice a week and we found it just as easy to use as the girls' everyday de-tangling spray! The Magic Cauldron - Halloween maths fun! Halloween Sticking, Stamping and Puppetry!